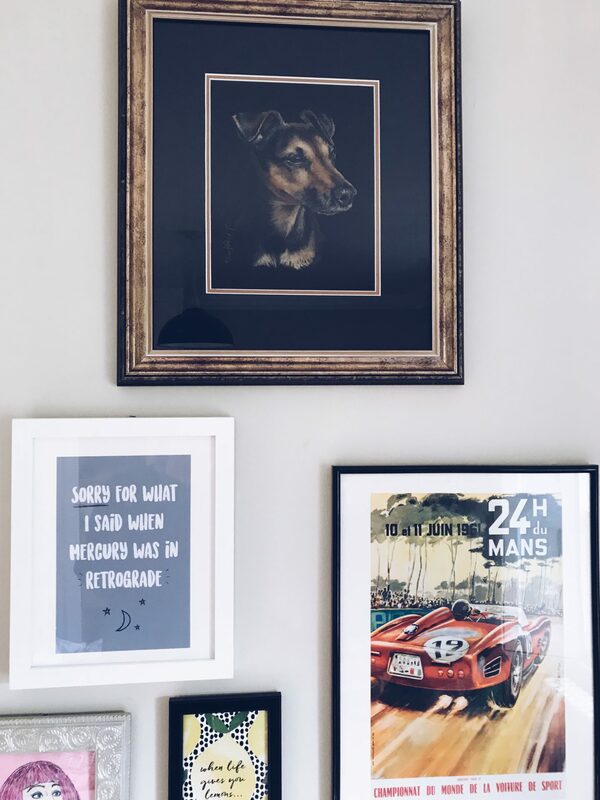 I’ve had my heart set on creating a gallery wall since I used to babysit for some people back when I was fifteen. All up on the wall as you climbed their staircase was an intricate and detailed gallery wall – packed with prints and family photographs. I loved it. It was unique to their home and showed them off as a family ~ photos of them, their style and personality represented on a wall. And I became obsessed with this concept. 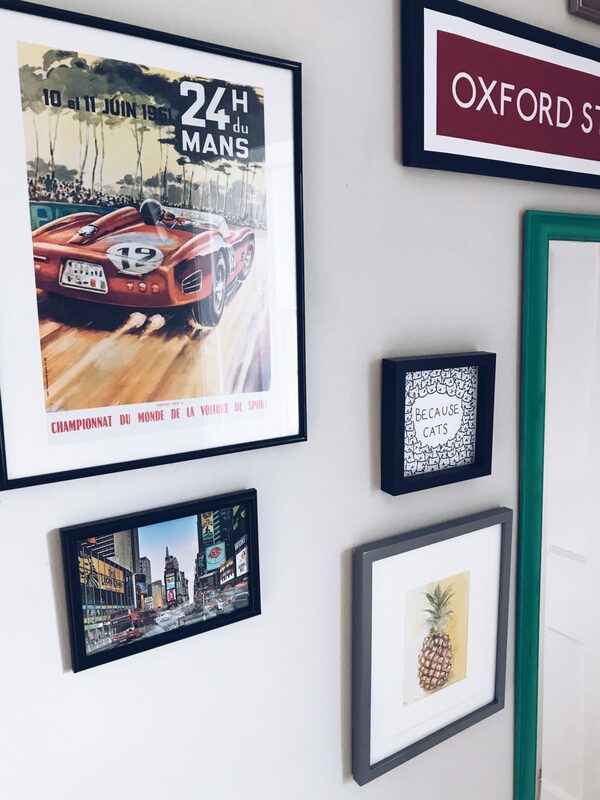 Of sticking a tonne of different sized and mismatched prints and photographs in quirky frames onto a wall and standing back to dust one’s hands off whilst staring at what you had made. This didn’t become a feasible concept for me until my parents moved house last summer and I had a whole new room to play around with, one that didn’t have hints of fifteen year old me and her questionable tastes. 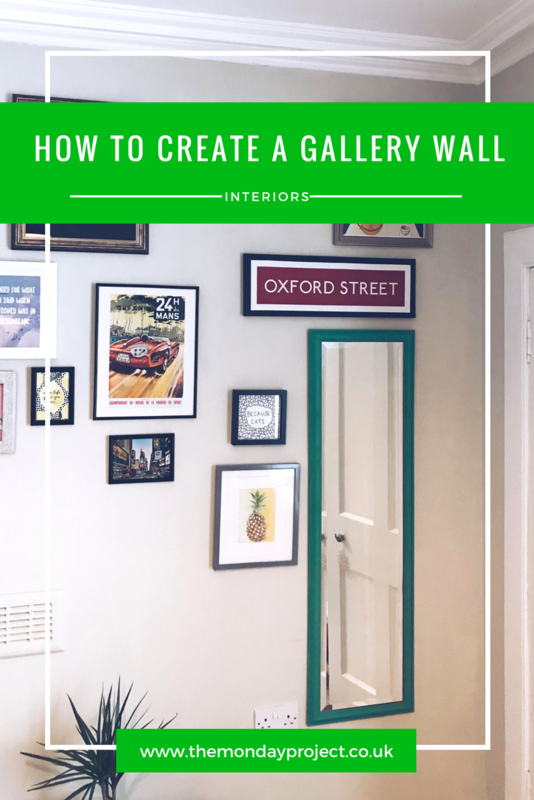 So this is how I made a gallery wall from scratch. The only ‘artwork’ I had had hung up in my previous rooms was an assortment of canvas’ from B&M Bargains and B&Q, each on separate walls. I had however been collecting random prints from antique shops, Etsy stores and postcards for a while so I had the materials, the wall and I could finally begin. Now I thought sticking some things in frames and sticking them on a wall would be easy. I could just bang them up (it is the spontaneity of gallery walls that make so appealing in my eyes) and it would be all over, it would look mint from the get go. I however under estimated how difficult it would be to hang things on a wall and make them look pretty. Not having things too close to one another and leaving big gaps so it looks weird. 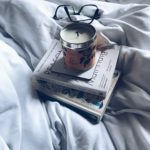 If you want some more inspo, two of the most useful articles I read where How To Plan A Gallery Wall and Creating A Feature Wall. 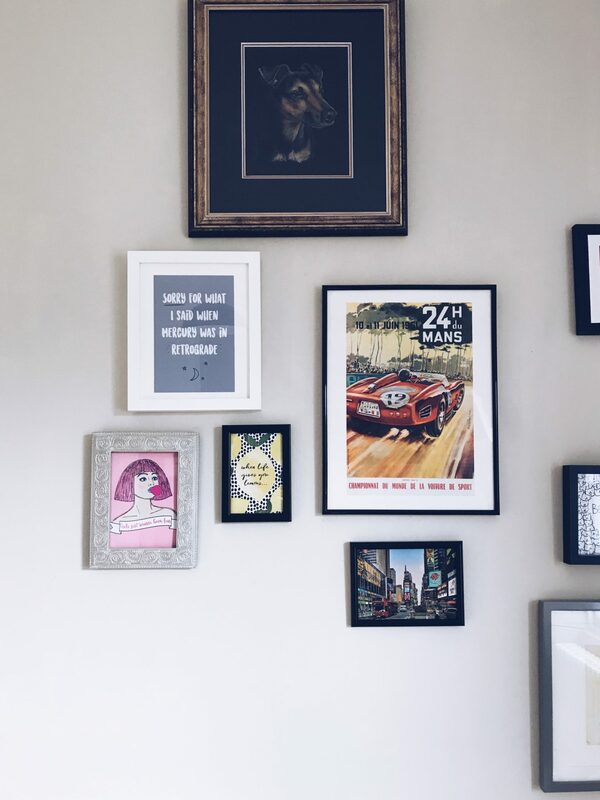 Being aware of your space can help you to create the best gallery wall from scratch. I had a huge wall to work and that was a bit daunting. By measuring the prints you have, it’ll give you an idea how to lay out your wall. I did a lot of holding prints up and marking with pencil where I wanted the nail to go. Desenio also has gallery templates in the ‘inspiration’ section of their website which is super handy too. 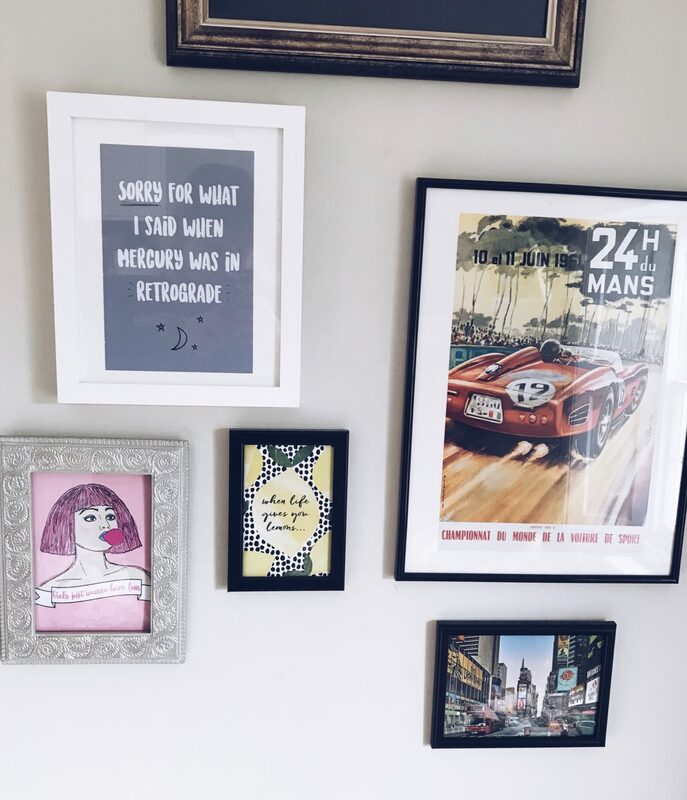 Whilst I still need to add some personal photographs into the mix (v awful at un-digitising things), having a mix of textures adds to the personality of your wall. I’ve added a big mirror as it breaks up all the prints staring down at me and makes it look a bit funkier. I painted the frame of the mirror green to add some more colour onto the wall as well. I also have a canvas, a painting and a collection of prints I’ve amassed over the years. Adding a textile would be another way to add more personality onto the wall and make it more interesting. 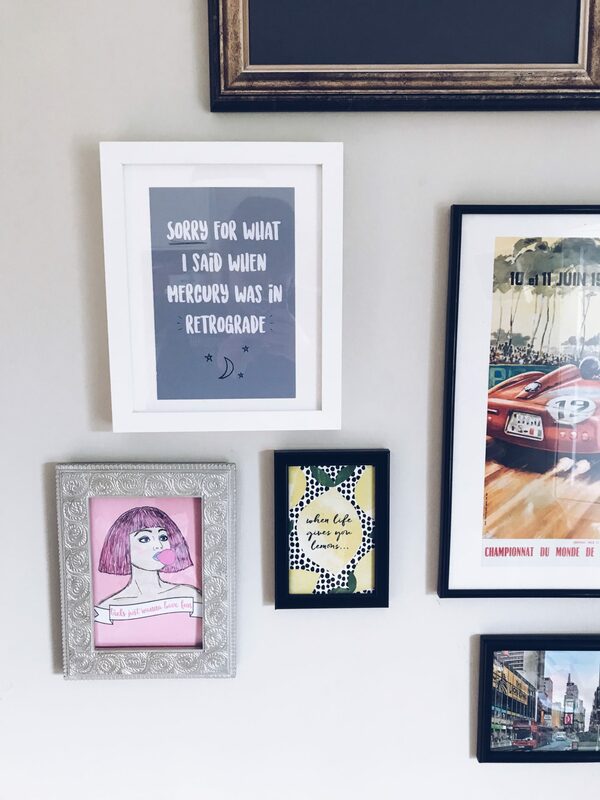 Wendy from Thank Fifi regularly shares a beautiful textile she has hanging in her home on Instagram and I am obsessed with it. Whilst you might want all your pictures to match and be all matching, I think different sizes adds a lot more personality to the wall. I have my big mirror as a statement piece as well as the painting of my dog, Alice in Wonderland poster and a French motoring poster. These are statement pieces that are hard not notice but they are made more wholesome by the surrounding smaller images. Framing postcards and greeting cards fills in awkward spaces and can add a different vibe or colour scheme to your wall. One of my most favourite things about doing up my gallery wall was sorting for funky frames. 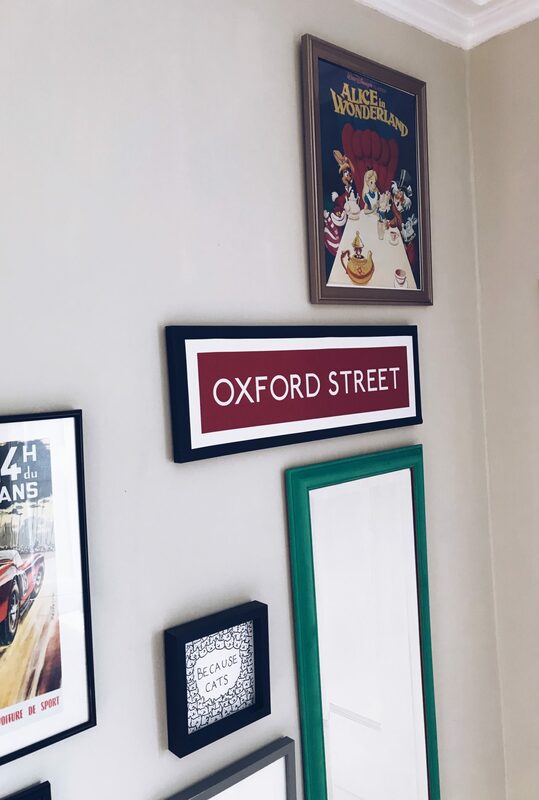 I always knew that I didn’t want all the prints to match frame-wise as one of my earlier attempts developed a theme of all black frames (unintentionally the ‘Oxford Street’ canvas has a black frame of sorts) and it looked a bit dull and uninspiring. The painting of the mirror green instantly added a new pop of colour. I also hit up TK Maxx from really interesting frames such as the silver one, Wilko for a cheap variation on black (this is where I got the white frame and brushed copper frame on AiW). Tiger was also one of my go to’s for smaller frames as they are ridiculously cheap for framing postcards. I still have four prints that need framed so I’m going to hunt high and low in the TK Maxx’s of Glasgow but I did see a gorgeous baby pink frame on the IKEA website. Having a gallery wall means I can showcase artwork and prints I’ve found from all over the place. Whilst it is tempting to shop purely from shops such as Desenio due to the ease, I would urge you not too. I have snapped up a couple of Desenio prints to add to the wall as they are beautiful but Desenio happens to be on everyone’s radar so they won’t be all that unique. I’ve really enjoyed finding prints from the most unlikely places and sharing them on my wall. University poster sales are a great place to shop at as they are ridiculously cheap, that’s where I picked up Alice in Wonderland for about £3. The French motoring poster cost me £1 from an antiques shop in a little country town and I am obsessed with it. 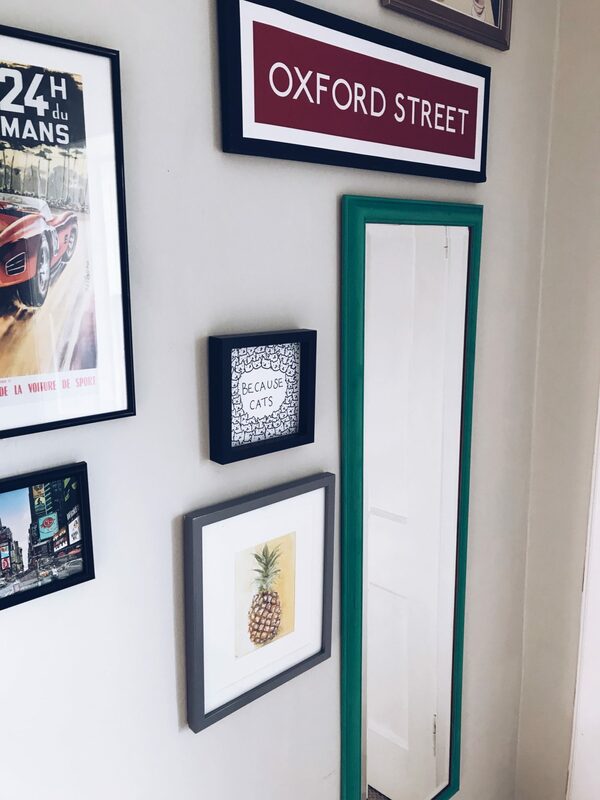 The canvas is from Primark so not all that unique but Primark is great for finding quirky bits of wall art that won’t break the bank. 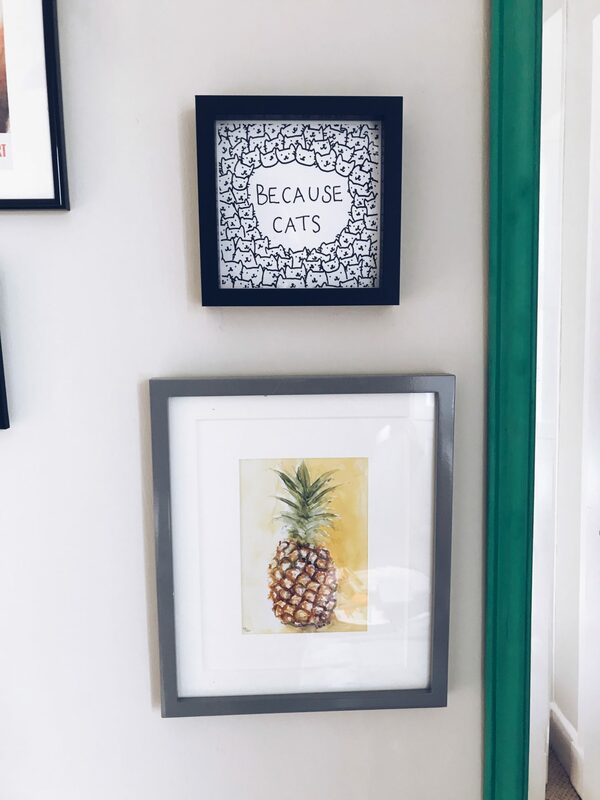 The pineapple print is from a cafe/gift shop in my home town of Kelso and was painted by a local artist so I would really urge shopping local to find unique pieces that won’t be littered all over Instagram. 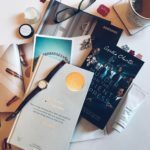 Another treasure trove is Etsy which is where you can find Jemma’s shop, Dorkface, which has tonnes of cute and colourful prints that are really affordable. Paperchase is one of my favourite stops for postcards and tourist stalls abroad are good too (my Times Square one is from a stall in NYC).